Top your favorite Amish Friendship Bread biscuits or scones with this easy blueberry sauce. 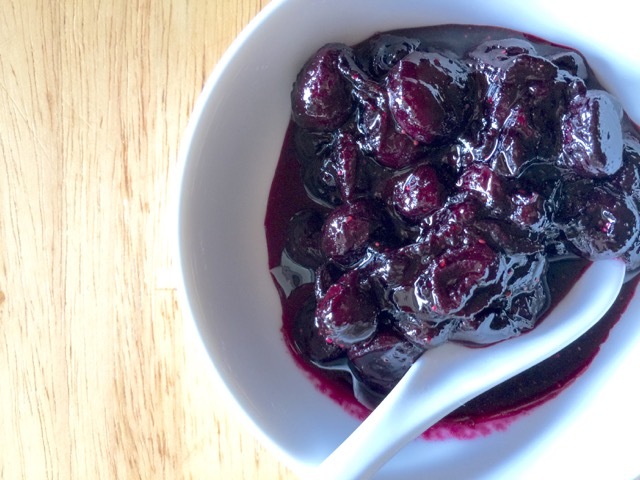 Combine 1 cup blueberries, sugar and water in a small saucepan (if using frozen blueberries, omit the water) over medium heat, stirring until the blueberries pop and the sauce begins to thicken. Remove from heat and add the remaining cup of blueberries and vanilla. Stir well and serve warm or at room temperature. Double this recipe and you'll always have plenty of blueberry sauce on hand to pair with your favorite Amish Friendship Bread scone, muffin or biscuit recipe. May Mini Bundt Baking Pan Giveaway!